PRAGUE (23 March 2016) — Prologis, Inc., the global leader in industrial real estate, today announced that it has signed a lease agreement with Linemart, a third-party logistics provider owned by Shenzhen Sailvan Network, a China-based e-commerce company, for 18,166 square metres of distribution space at Prologis Park Prague-Airport DC1. The transaction was facilitated by 108 Agency. Founded in 2008, Shenzhen Sailvan Network now boasts more than 1,000 employees stationed at it headquarters in Shenzhen, China and branches in Hamburg, Germany and Los Angeles, USA. Linemart, who operate the online clothing stores CNDirect and Dress Link, will use the space to serve their customers across Europe. 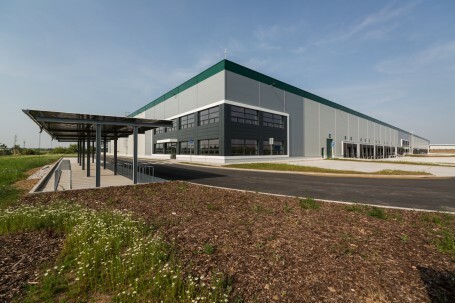 Prologis Park Prague-Airport currently comprises two buildings on 33 hectares of land with a potential build-out of up to 72,000 square metres. Located just five minutes from Václav Havel Airport Prague, the park provides excellent access to national and international traffic and trade routes via the D5 highway. Prologis is one of the leading providers of distribution facilities in the Czech Republic with more than 950,000 square metres of logistics and industrial space (as of December 31, 2015).